For the 10th year in a row, the Volkswagen GTI, Golf, and Golf R have been named to the 10Best list by Car and Driver. Designed to perform, this sporty hot hatch delivers a powerful performance every time. Equipped with a turbocharged engine plus advanced technology and safety features, the 2016 GTI is the most innovative yet. 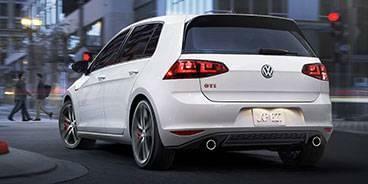 30 years of classic racing design has only been improved with the 2016 Golf GTI. 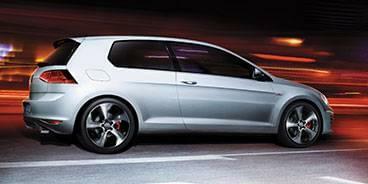 Built wide and low to the ground, the GTI is braced for speed. With a variety of exterior color options like Deep Black Pearl and Tornado Red, as well as a sporty rear spoiler, this hot hatch refuses to be overlooked. 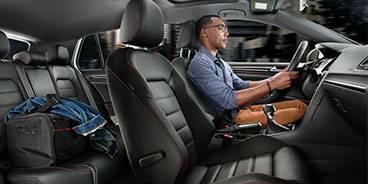 The interior of the Golf GTI is designed for any situation. 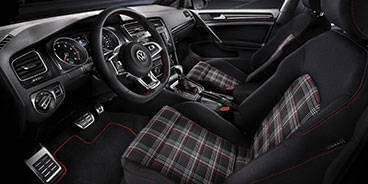 When you have a need for speed, the GTI’s race-track inspired seats and leather-wrapped sport steering wheel really take you the extra mile. Also, with 60/40-split folding rear seats and adjustable cargo floor, this hot hatch knows how to be practical. If you thought the GTI performed well before, it was nothing compared to now. With sport-tuned suspension, Dynamic Chassis Control (DCC®), and an available performance package, the GTI is loaded with power. Choose from a variety of driving modes with Driving Mode Selection that optimize your drive no matter what you’re in the mood for. 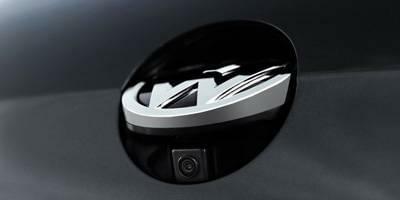 If it’s possible, the GTI adds more confidence to your drive with its advanced technology and entertainment features. Never lose sight of the road with the VW Car-Net® App-Connect for smartphones, and the driver is always in command with an available Driver Assistance Package. So what are you waiting for? 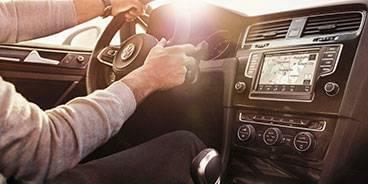 Whether you’re in or near Plainview and Lubbock, Texas, or Clovis, New Mexico, the friendly staff at Street Volkswagen are waiting for you to come test drive your GTI today!